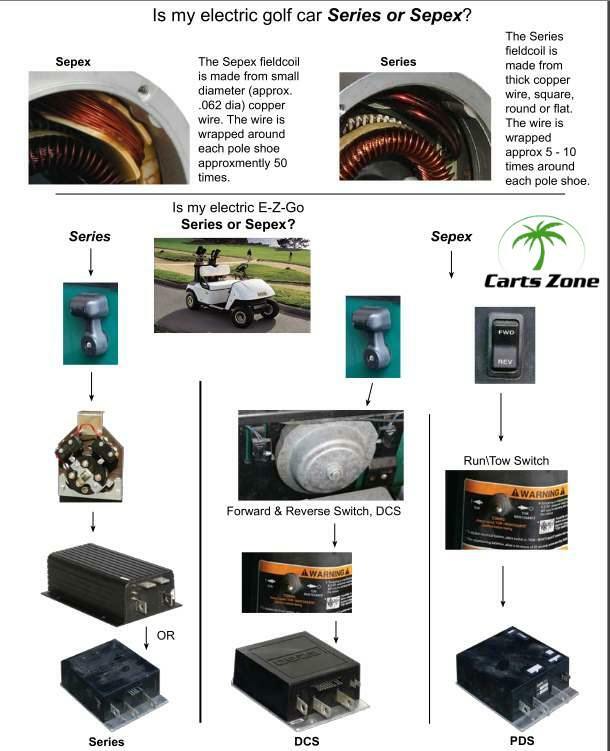 Electric motors for Ezgo DCS and PDS golf cart. DSC & PCS use the same motors, the DCS doesn't use the speed sensor wire. Carts can have 2 different motor sytems each year, Series or Regen (sepex). Please give us a call and we can assit you in finding out which type you have. Or use a picture guide below. We care stock motors, high speed motors and high torque motors. Our motors are NEW and come with warranty and support. Trusted name brand motors.